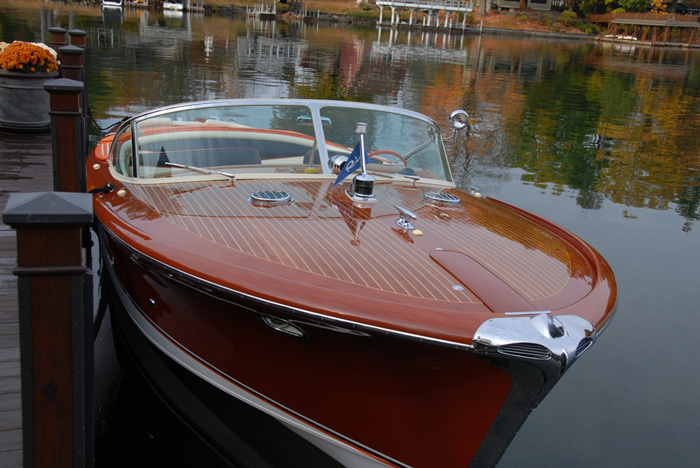 We are proud to offer for sale a most special and famous Riva Aquarama, QUATTRO. 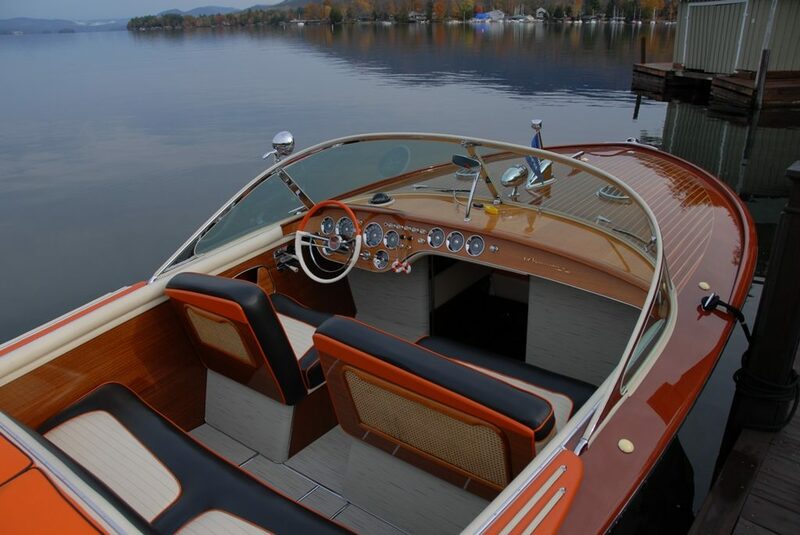 QUATTRO is Riva Aquarama 4, of 1963, and is the VERY FIRST Aquarama to be constructed with laminated hull sides, rather than individual planking. 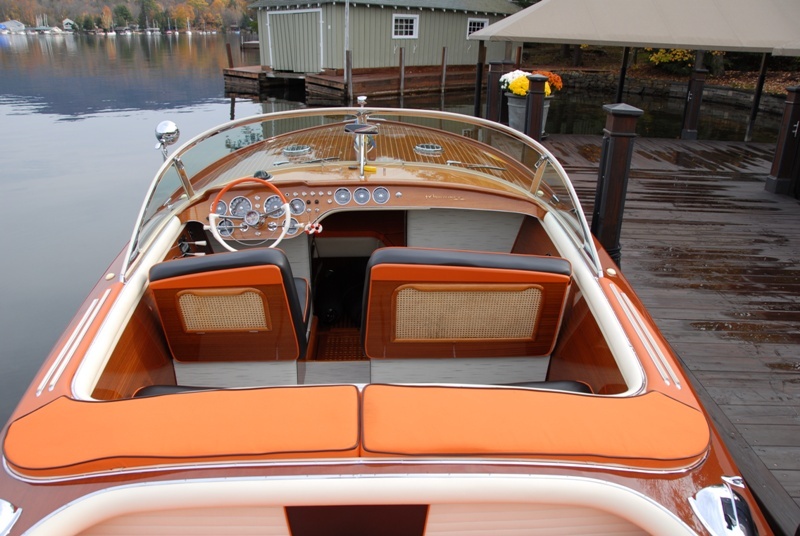 QUATTRO retains these original hull sides today. 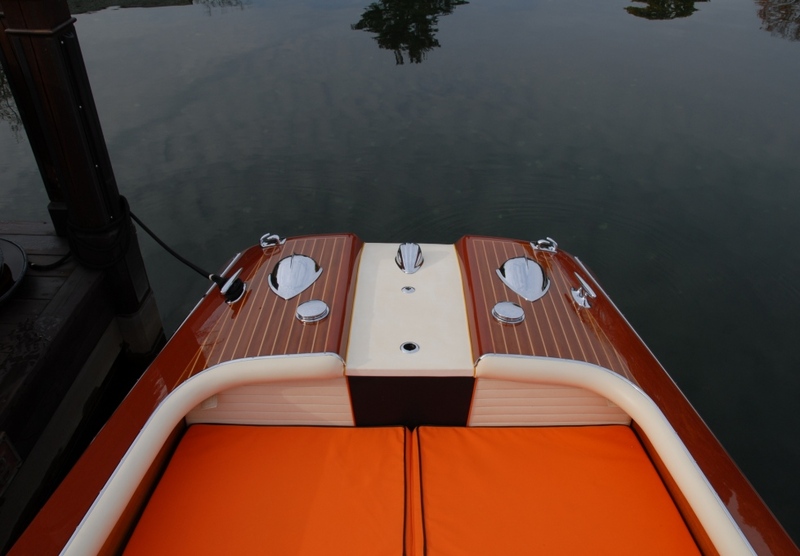 From Aquarama 4 forward, all Aquaramas had laminated hull sides. 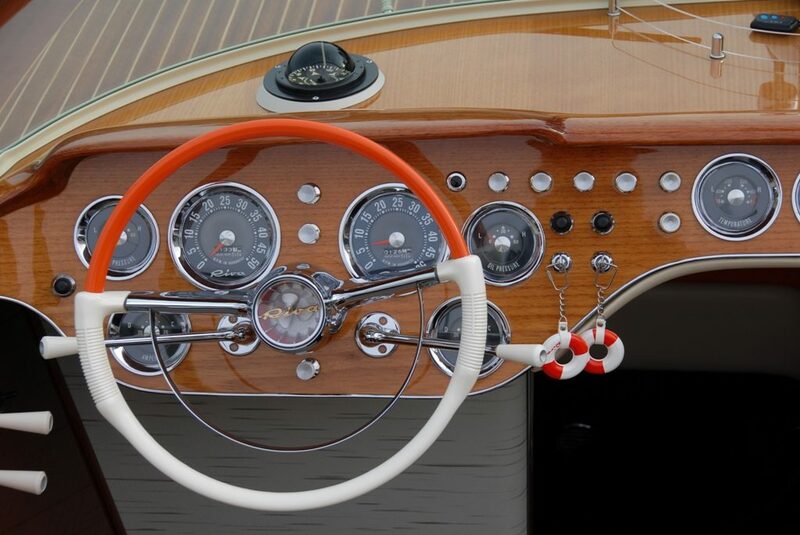 Aquarama #1 was the famous LIPICAR built for Ing. 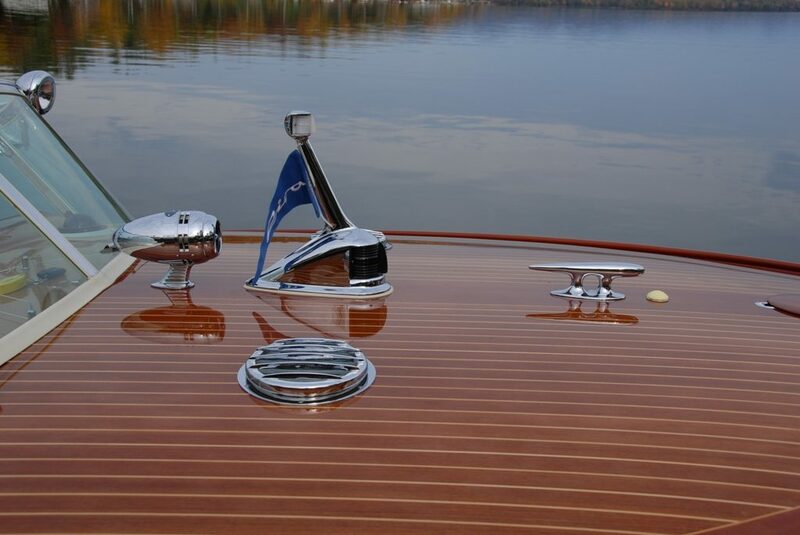 Carlo Riva on the hull of Tritone 214, and Aquaramas 2 & 3 were still constructed with conventionally planked hulls in the fashion of the Tritone. 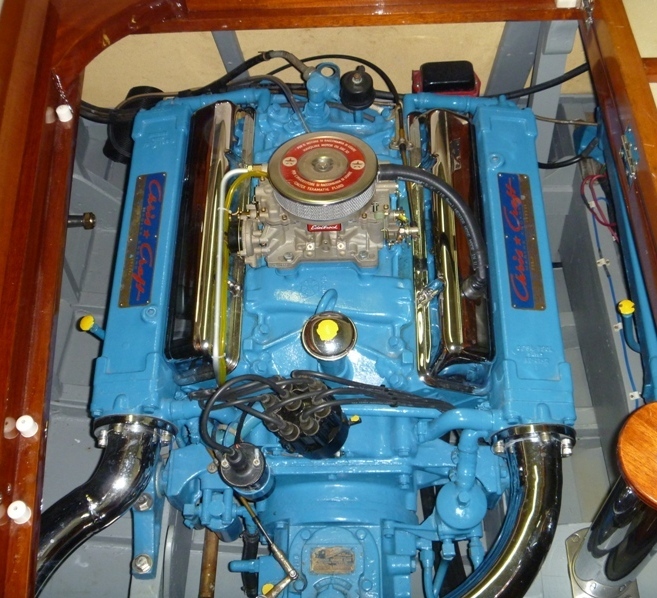 Aquarama #4 has been completely refinished by us in 2013, along with the restoration of any indicated section/component. 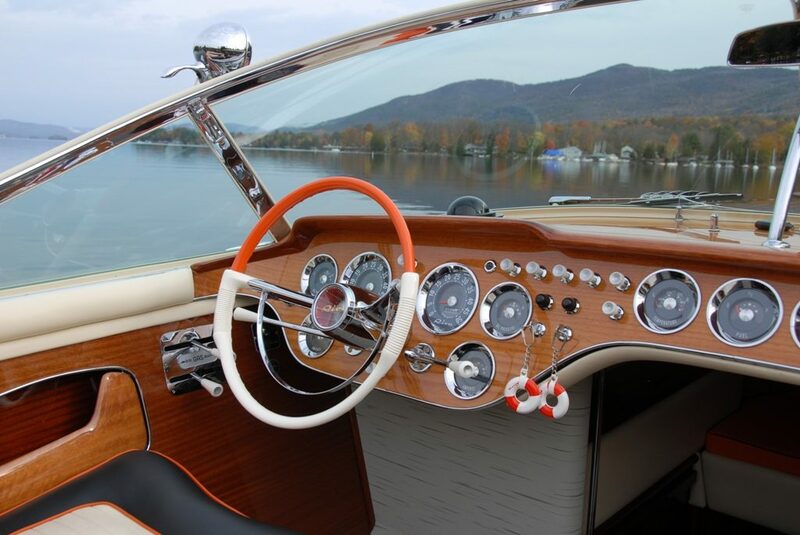 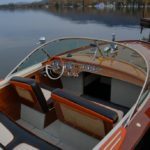 The original 185 HP Chris Craft motors have been previously restored in the US, using 350 CID blocks, and maintain their correct original configuration and appearance. 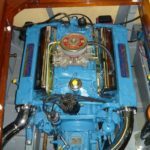 We correctly re-detailed the motors and engine room during our refinishing. 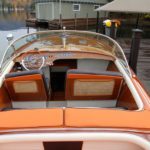 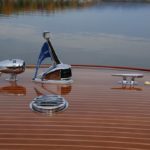 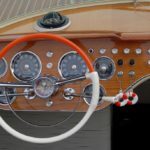 Included with this special Riva are the normal Riva accessories, bathing ladder, water ski pole, sun mattresses, compass, docking lights, flag pole & flag, Riva pennant, cabriolet top, etc. 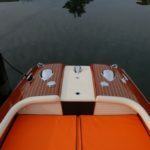 as well as a custom 2003 Patriot tri-axle trailer.